Solo Female Travel in Thailand — Is it Safe? I’ve traveled solo in Thailand several times in the past seven years. I consider it one of the best destinations in the world for women traveling on their own, including first-time solo female travelers. Altogether, I’ve spent several months in Thailand, most of them solo. I’ve traveled on a shoestring budget and in luxury; I’ve traveled to big cities, small towns, quirky islands, and national parks all over the country. By this point, I have a strong perspective about what travel in Thailand is like for women, and I want to share it with all of you. First Time in Asia? Go to Thailand! There isn’t much of a language barrier. If you stick to the tourist trail (and the tourist trail is vast and expansive in Thailand), people speak at least a little English. Learning a few phrases like “sawatdee-ka/kap” (hello for women/men) and “kop kun ka/kap” (thank you for women/men) will be appreciated, however. Great food. Even if you have no idea what Thai food is beyond pad thai, you’ll soon discover a plethora of delicious dishes. Just know that spicy is one thing, but “Thai spicy” is spicier than anything you’ve had in your life! It has something for everyone. Thailand is equally fantastic for young backpackers who want to party, older couples who love history, and families with young kids. It’s a safe and welcoming destination for LGBT travelers. It’s a top culinary destination. You can backpack for very cheap or bask in some of the best luxury resorts in Asia. Whether you’re a city person, a mountain person, or a beach person, you’ll find a place that’s perfect for you in Thailand. Generally speaking, Thailand is a very safe country to visit as a traveler. Violent crime against foreigners is extremely rare, and most theft can be prevented with common sense. Petty criminals tend to seek out inebriated travelers, which makes it all the more important to stay sober enough to know what you’re doing. That doesn’t mean that nothing bad happens, ever. There’s no 100% perfectly safe location on the planet. Even if you follow every precaution, you can still get robbed. You occasionally hear about a traveler dying in Thailand, and while these incidents are tragic, they are uncommon, just as tragedies are uncommon in your home country. While you occasionally hear of terrorism and bombings, these tend to be in off-the-beaten-path destinations in far southern Thailand. There was one bombing at Erawan Shine in Bangkok, a busy and well-traversed area, in 2015. Again, these incidents are rare, but they happen — in Bangkok, in New York, in Paris. People are out all night. You’ll see people manning street carts even late at night. This is good because it means you’ll never be alone on the street. That in itself is huge for safety. Thai people are incredibly kind and welcoming. Just like anywhere else in the world, 98% of people are nice and the other 2% are assholes, but I think Thai people are a lot kinder, a lot more open, and a lot gentler than the general population of the world. Tampons and pads are readily available, but… It’s hard to find tampons with applicators. You can get them at Boots or Tesco Lotus; otherwise, get your products at 7-Eleven. That said, I recommend you use a DivaCup instead for convenience, packing, and environmental reasons (read why here). Condoms are also readily available. You can get them at 7-Eleven, including Western brands like Durex and Trojan. And in the event that you get a UTI, just head to a pharmacy and they’ll give you a prescription. Cipro is usually prescribed; check with your doctor to see if taking it is right for you. Women are not permitted to touch monks. Don’t sit next to them or walk next to them, either. If you give them something, put it down on the table in front of you and let them pick it up. Many Thai toiletries have bleaching agents added to them. This even happens in products you wouldn’t expect, like deodorant. Be sure to read the labels when you buy any skin products. Keep your drinks close to you. Don’t take drinks from strangers and don’t leave them out when you’re drinking them. Watch them like a hawk. Don’t drink too much. Be in a state where you’re aware of your surroundings. Especially be cautious of the ubiquitous bucket cocktails. Cover up a bit. Always cover your shoulders and knees when you visit a temple. 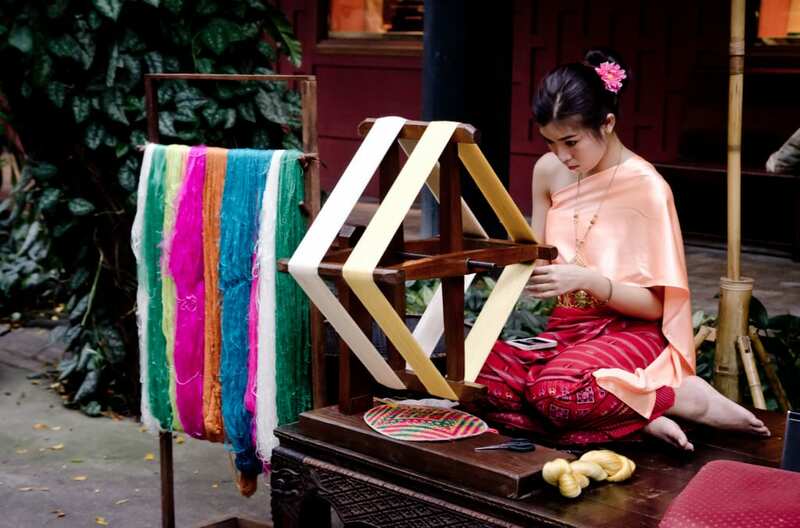 Beyond that, Thai women tend to cover up more than Westerners, and it’s good to blend in by dressing a bit more conservatively and not wearing short-shorts or super revealing tops or dresses. Do not wear your swimwear anywhere but the beach. Take VIP buses and avoid backpacker buses. Travel agencies will try to send you on backpacker buses, but these sometimes have drivers who are forced to work long hours and take amphetamines to stay awake. VIP buses are what the locals take. Do not take drugs, even if you’re a party drug enthusiast. First, drugs in Thailand can be cut with poisonous substances. Second, if you’re caught, the police have the power to do a urinalysis and use the results in a court of law. Third, if you’re caught with drugs, some corrupt police will take your passport and demand hundreds or thousands of dollars in order to get it back. Fourth, the penalties for drugs are extremely severe in Thailand. Don’t be afraid of street food. Street food is life in Thailand. Go where the crowds are; it means the food is great and there’s high turnover. You may want to start with vegetarian food and slowly ease yourself into meat. Don’t insult the royal family. Thai people love their king, who recently passed away, and speaking badly about the royal family can get you arrested. Always rise when the national anthem plays — even in places like movie theaters. Protect yourself from the sun and heat. Bring sunscreen and a hat. If you plan on snorkeling or diving, use reef safe sunscreen (Stream2Sea is a good reef safe brand). Hydrate constantly. Water is ideal, but coconuts are great for the electrolytes! Stick to bottled water or use a Steripen on Thai tap water. Additionally, always ask to use the meter when riding in a taxi. If the driver says it’s not working or he doesn’t have one, it’s a scam and he’ll try to negotiate for more than what the ride should cost. Finally, invest in a guidebook. Even as an expert traveler in the year 2017, I love guidebooks. They’re filled with detailed information about everything from travel times between cities to medical clinics serving foreigners. I’m a Lonely Planet fan and I recommend Lonely Planet’s Guide to Thailand or Southeast Asia on a Shoestring if you’re visiting multiple countries in the region. Get massages every single day. An hourlong massage in Bangkok usually runs around 250 baht, or a little over $7. Expect to pay a bit more on the beach. At prices like that, you can afford to get them daily! If you’ve never had a foot massage, this is the time to get one. Celebrate Loy Krathong. During this November holiday, locals make krathongs, or floating lanterns, and release them into the river. It’s beautiful, especially if you can make it to Chiang Mai for the lantern release. Find your perfect island or beach. There are plenty of them, but my absolute favorite is Koh Lanta. Visit Elephant Nature Park and care for rescued elephants. DO NOT RIDE AN ELEPHANT IN THAILAND, EVER. This is abuse 100% of the time. Instead, visit this park that cares for rescued elephants. You can feed them, wash them, and even hug them — and unlike elephant rides, it’s not abusive at all. Learn to ride a motorbike. Motorbiking is an adventurous way to explore the countryside! I recommend learning in Pai, where the streets are empty and the countryside is stunning. Shop like crazy. One of my favorite markets in the world is Chatuchak Market in Bangkok, only open on the weekends. This massive place has everything from furniture to local hipster clothing to live animals for sale! You can also get clothing tailored for a very cheap price. Learn to dive. Koh Tao is one of the top destinations to get scuba-certified. This will be a skill you can take around the world. Join the water fight at Songkran. 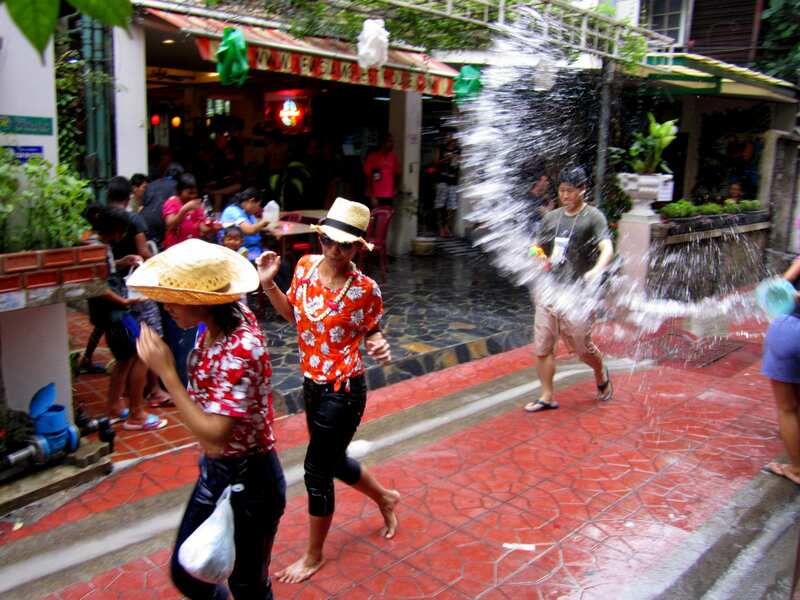 Every April, Thailand erupts into a three-day water fight to celebrate the New Year. The best celebrations are in Bangkok and Chiang Mai. Bangkok is a thrilling city with more to do than you could ever fit into one vacation. The food is outstanding, the rooftop bars are insane, the people are wonderful. It’s one of my favorite cities on the planet. A lot of people may say bad things about Bangkok, but I’ve found that these people tend not to be city people in general. My suggestion? Roll with it and enjoy it. 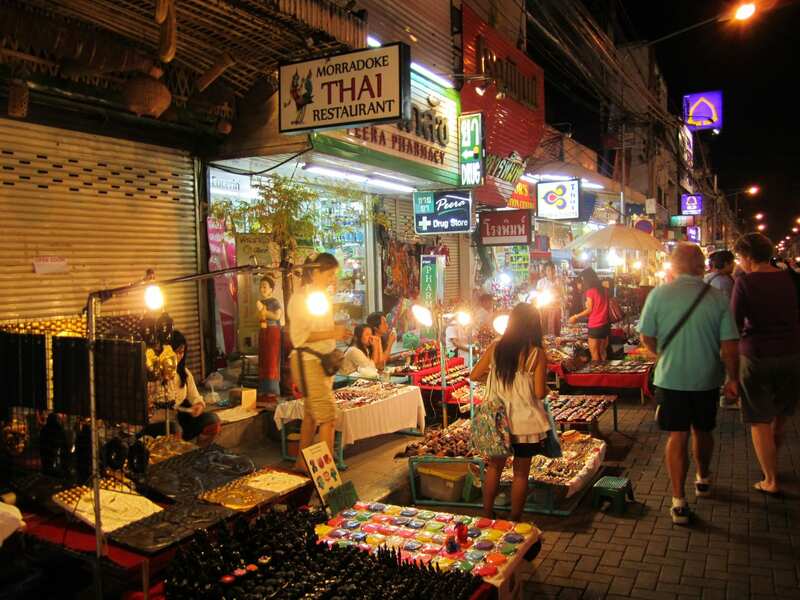 In the north, Chiang Mai is relaxing city full of temples with great night markets and an amazing street food scene. Pai is a gorgeous mountain village that makes the ideal place for learning to ride a motorbike. If you like ancient cities, be sure to do a day trip to Ayutthaya from Bangkok, or to head further north and visit Sukhothai en route to Chiang Mai. Sukhothai in particular has surprisingly few tourists. 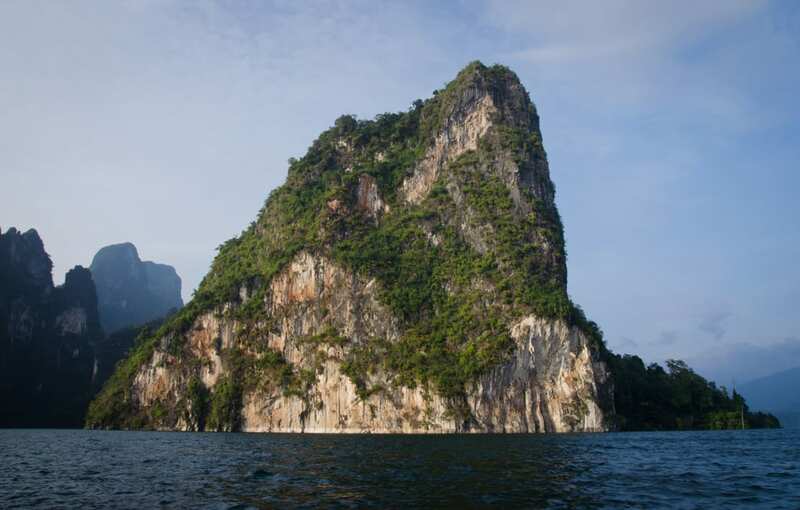 One nice off-the-beaten-path spot is Khao Sok National Park in the south. You can cruise giant lakes filled with limestone karsts, canoe down rivers, and stay in over-water cabins. In terms of accommodation, I can recommend two places wholeheartedly: Wild Orchid Villa in Bangkok is my spot — it’s a sweet and comfy budget guesthouse by Soi Rambuttri. 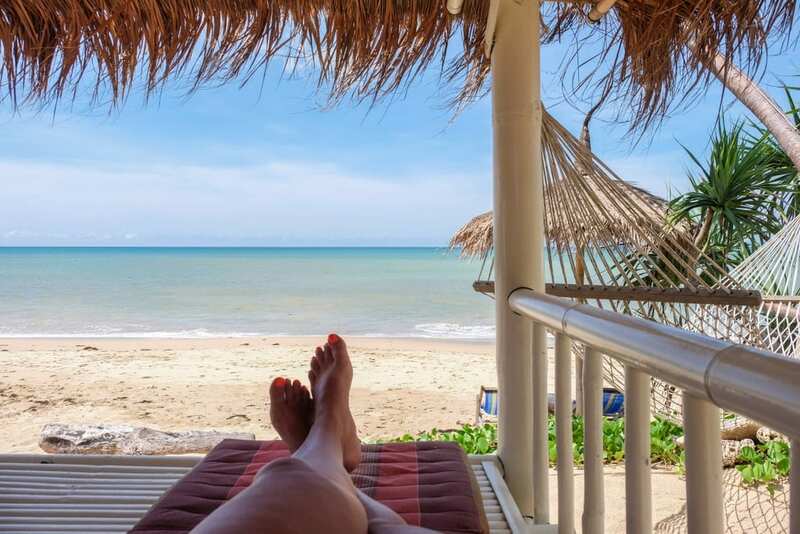 Soontreya Resort in Koh Lanta is a mid-range guesthouse with super-comfy beds and a pool, a short walk from Relax Bay, the best beach on the island. Otherwise, I tend to stay in simple guesthouses. These are just a few suggestions — Thailand is full of great places to visit! 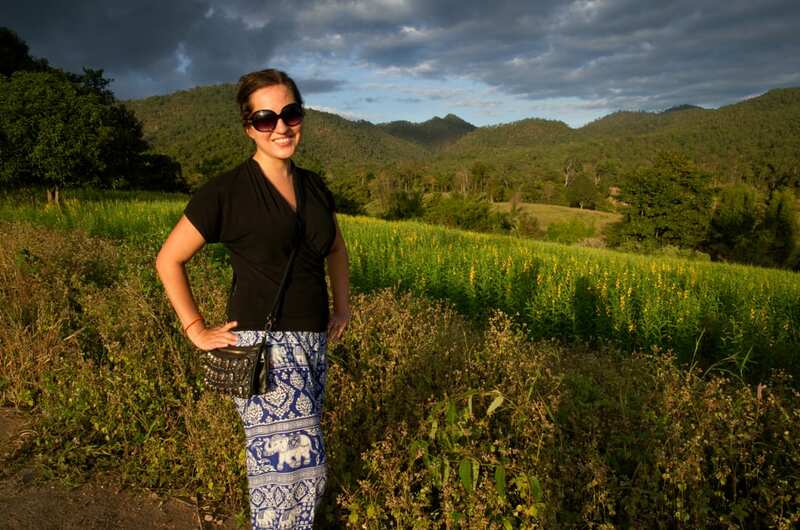 One last note — it’s absolutely vital to have travel insurance before traveling to Thailand. If you get sick or injured on your trip, or even have to be flown home, travel insurance will protect you from financial ruin. 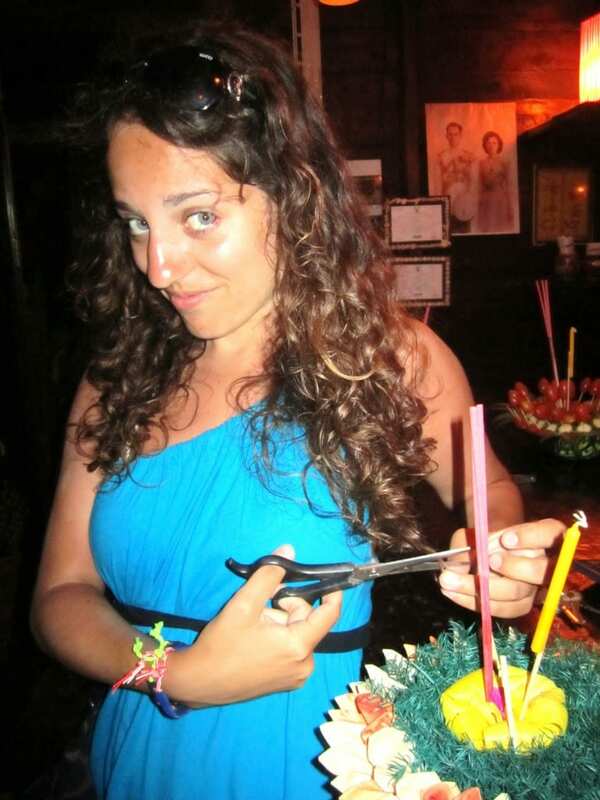 I use and recommend World Nomads for trips to Thailand. I once had a medical issue crop up while in Bangkok and I had to see a doctor. I went to Bumrungrad Hospital (which is excellent, FYI — far better than any American hospital I’ve ever visited), got an examination and an ultrasound, got documentation, and my expenses were reimbursed by World Nomads. If you’re a woman, you will feel safe in Thailand. People often ask me where the safest place for a woman to travel is. If I were considering safety alone, I would probably put Iceland and Japan at the top of the list. But right after that would be Southeast Asia, and Thailand specifically. If you’re nervous about your trip to Thailand, don’t be. Plan carefully, do your research, and then go and have the time of your life! Have you been to Thailand as a solo traveler? What would you add to this post? 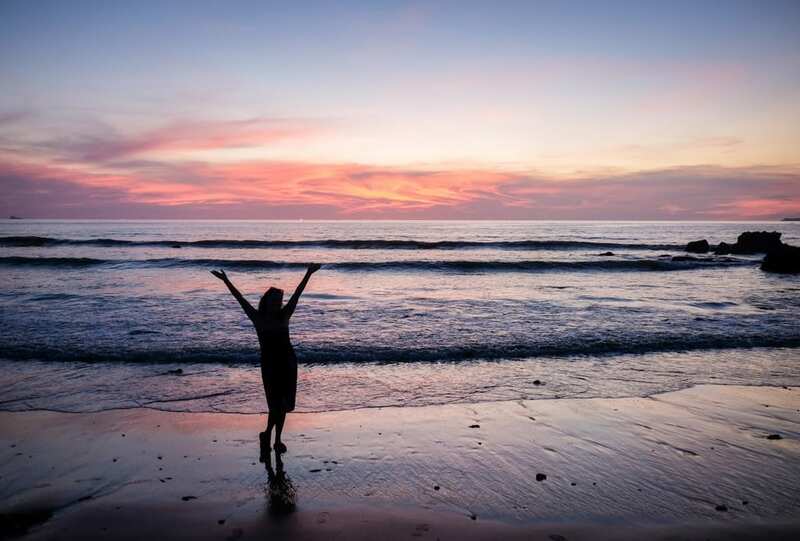 The post Solo Female Travel in Thailand — Is it Safe? appeared first on Adventurous Kate.